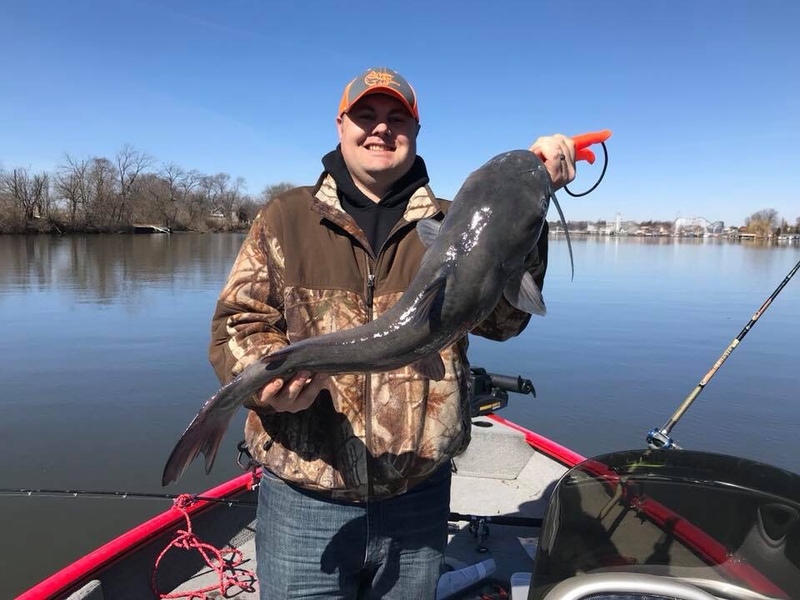 As usual we headed out on the first calm day in March fishing for Channel Catfish. The fish were on soft bottoms just outside the channel. Frozen Shad from the year before was our bait of choice. We boated close to thirty fish and landed one that was close to seventeen pounds.